Naming your band is not something that should be taken lightly – it's an important tool to help build your brand. Think about it: your name is stamped on all of the products you offer (like your records and T-shirts) as well as your website, business cards, gig posters, bass drum heads, and cases. Your name, in part, is how people will come to recognize, request, and discuss you among friends, and it's what will trigger a series of emotions, memories, and associations stored in fans' minds whenever they hear or see it. A great name alone won't make or break a band or brand, but it can certainly help. Everything you do affects the way fans perceive you, from the identity you put forth in your name and musical style, to your personality and look. Here are eight useful tips on choosing a name that's right for your band. Your name should reflect the mood and imagery that fits with your vision, and it should give your intended audience a clear idea of what to expect when they hear your music or see you perform. This will help fans immediately visualize what you're all about. For example, Kaskade was chosen to represent the popular American DJ/producer Ryan Raddon after Raddon saw a picture of a waterfall, which fit perfectly with the continuous, flowing sounds and powerful textures he creates when he performs at raves around the world. If you're compelled to use your personal name, just be prepared to make it more hip, memorable, unique, and descriptive if needed. Case in point: David Bowie (born David "Davy" Jones) adopted "Bowie" – after his favorite hunting knife – to sound more edgy and to create more distinction from Davy Jones of the Monkees. Alternatively, if your goal is to make it clear that you're the leader of your band, don't be afraid to say precisely that in your name! The Dave Matthews Band is a name that implies that there is one leader, Dave Matthews, but we can also expect – with some flexibility – that the same group of musicians will be working on every recording and performance. Your name should be short enough (or look cool enough when turned into an acronym) to fit on merchandise, including T-shirts, hats, and stickers. Trent Reznor of the band Nine Inch Nails denies any deep meaning to the name – he claims to have just wanted a name that abbreviated easily! Remember what a name is intended to do – make you memorable and recognizable. A name with an overly strange spelling that no one can read may be defeating the purpose. Could you imagine if your parents gave you a name no one could pronounce correctly? Each day of school would be a nightmare as each teacher constantly messes up your name! Korn spelled with a "K" is fine, for instance, but just be careful not to make your own name's spelling too weird. Though the band Lynyrd Skynyrd has been hugely successful for decades, I literally couldn't find them on the web when researching this article because I couldn't spell their name correctly. Even Google had no idea what I was trying to do. (I'm laughing, but I'm serious.) For a brand new band in this day and age, you might as well not exist if your name can't be easily searched online. Avoid using common names that are likely being used. Be sure to search the web, independent record shops, and the U.S Patent and Trademark Office website to see if your chosen name is already in use. At some point, Federal Trademark registration may also be in order. 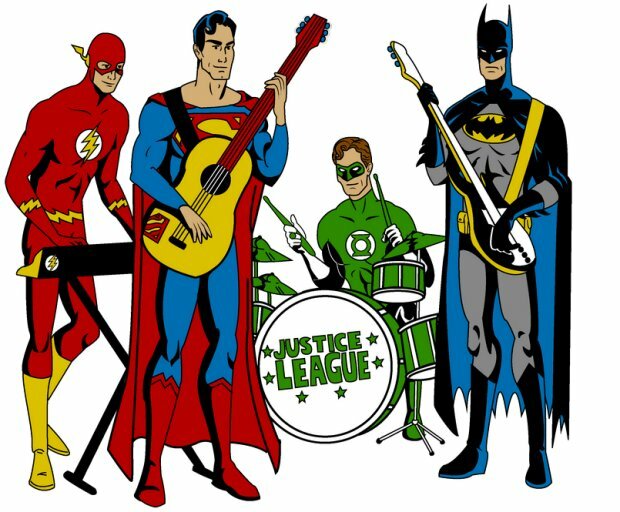 For more details on this, check out "How to Trademark Your Band Name." Domain registration, not to be confused with Federal Trademark registration, is the process of reserving your band name as a "virtual address," like yourbandname.com – but if someone is already using that domain name, you may be out of luck. Check for availability by using a service like GoDaddy or Network Solutions. To create something truly unique, you can always invent your own name. Metallica's name was invented by drummer Lars Ulrich when thinking of names for a friend's metal magazine. The Mighty Mighty Bosstones' name was invented by adjusting the name of the city in which the band was formed (i.e., from Boston to Boss) while saying something about their ska sound (which encompasses horns). Last but not least, another method that can be helpful in naming your band is to understand your target audience and reflect on their psychographic characteristics (i.e., their activities, interests, and opinions). Alt-rockers Green Day named themselves after a slang phrase used by San Francisco kids for smoking pot all day. The name was intended to connect with the rebellious, free-caring attitude of punk rockers. How did you choose your band name? Let us know in the comments below! 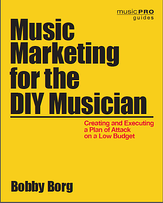 Bobby Borg is the author of Music Marketing for the DIY Musician: Creating and Executing a Plan of Attack on a Limited Budget(September 2014). Find the book on Hal Leonard's website under "Trade Books" or on Amazon. Signed copies with a special offer are also available at bobbyborg.com.